BRENDAN Gleeson must be one of the most accomplished actors going around at present. A few years ago he was a hitman sent on an enforced break to Belgium (In Bruges) and then more recently Gleeson played tough Irish policeman, Gerry Boyle (The Guard). 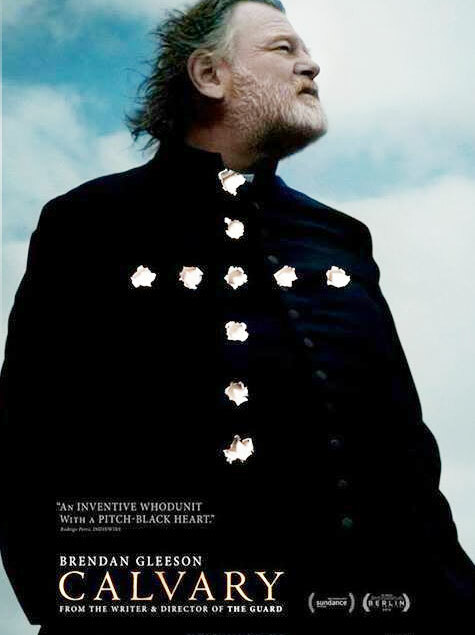 In director John Michael McDonagh’s new film he’s Catholic priest Father James, based on the west coast of Ireland. One day seated in his church’s confession box he hears a chilling threat. A shadowy parishioner, unable to be identified because he’s behind the grille, tells Father James he’s about to be executed. And not just shot or run over by a car. But crucified down on the nearby beach. Next Sunday. It seems the man in Father James’ confession box was abused as a child and even though the current priest had nothing to do with the crime he’s been booked in as the fall guy. Father James is given a week to get his affairs in order. So who might the potential killer be? Could it be the hearty local butcher (Chris O’Dowd), the nasty publican (Pat Short), or even the twinkly little doctor (Aidan Gillen)? Surely not the supercilious and stand-offish local squire, who has been disgraced in a banking scandal (Dylan Moran). The strangely sinister police inspector (Gary Lydon) isn’t much help as Father James tries to nut things out. None of the villagers are very pleasant. They swear at the priest, mock him to his face and taunt him with sexual comments. Father James does have a daughter Fiona (Kelly Reilly) from his previous life. Even though she causes him another form of distress – she’s just back in Ireland after a failed suicide attempt in London – there’s some solace for the priest in her company. McDonagh’s shots of Father James perched on the clifftops above the sea, staring heavenwards, are great. Will he let out a curse as he used to in his previous life, before joining the priesthood? And even if he does, is there anyone up there to hear it? This entry was posted in Movies and tagged Brendan Gleeson, Calvary, Chris O'Dowd, Dylan Moran, John Michael McDonagh. Bookmark the permalink.